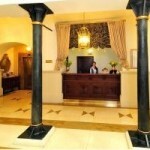 Hotel Arcadia is one of the few five star hotels in Bratislava. 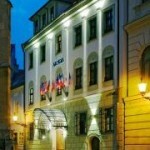 This boutique hotel offers all the luxury you should need during your stay in the Slovakian capital. A fitness room, jacuzzi, sauna and a wellness area can be found, and massage possibilities are offered in the hotel. The location is ideal, so if you have the money, this is a safe bet!